Alfred "RuStY" Karlsson has signed a contract with Singularity, HLTV.org has learned. The 20-year-old joins the team's active roster after finishing his trial period, completing the squad that had been reduced to just two players by the end of 2017. Alfred "RuStY" Karlsson was picked up by the Danish organisation last month alongside André "BARBARR" Möller and Hugo "HugoXD" Hallgren (both of whom joined the team on a permanent basis), averaging a 1.02 rating since then. 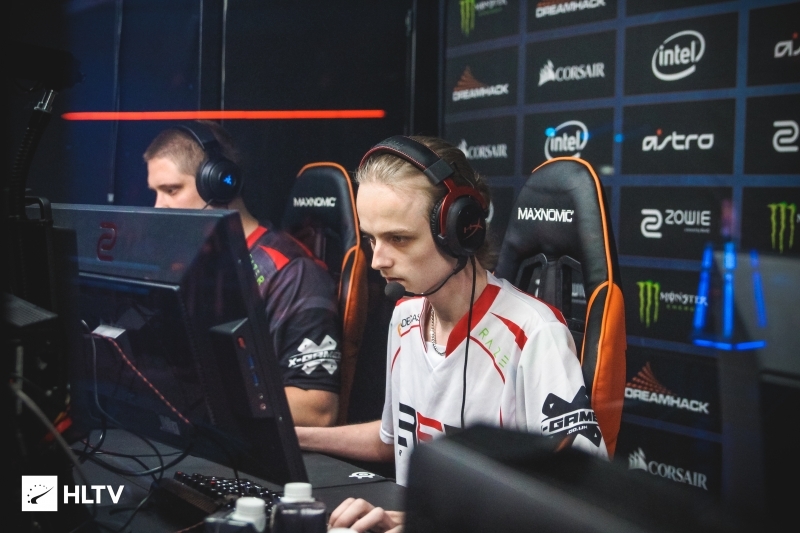 The Swedish youngster, who was part of the Red Reserve squad that finished in second place at DreamHack Valencia 2017, expressed his relief to be once again in a strong team after the last few months had brought him "a lot of disappointments." "Happy to be a part of a team full of hungry and motivated players working to become better," RuStY said. "I think we can be a stable top 30 team within short time, and I'm looking forward to grinding the ladder with the team. "I have had a lot of disappointments in the last few months so I'm really happy to compete again." The team's coach, Anton "AntO_oNNN" Van Gorp, revealed that Singularity tried out Nicolas "Plopski" Gonzalez Zamora first, but, due to a contractual dispute, the team had to look elsewhere to find a new player. "He [RuStY] is incredibly passionate, talented and most importantly very disciplined and eager to learn", AntO_oNNN added. "I'm looking forward to seeing what we can achieve with the current Singularity roster but the future looks bright to say the least with the additions of BARBARR, HugoXD and now RuStY. "We will be participating in as many online qualifiers for important leagues and LAN tournaments as possible and obviously we will keep grinding for a playoff spot in current ESEA MDL season."